One Piece Chapter 879 is going to release soon. It is a highly awaited One Piece manga chapter as it is going to feature a whole Whole Cake Island battle arc. Two of the most powerful fighters – Luffy and Katakuri will have a tremendous fight. 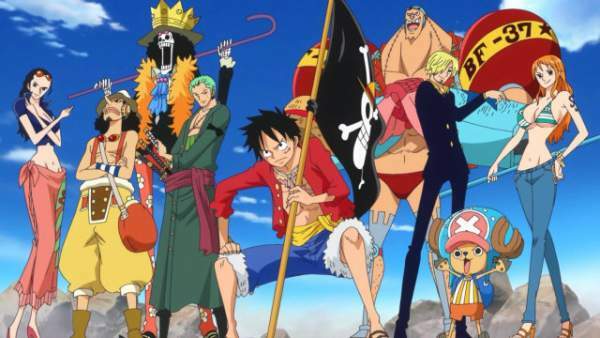 One Piece 879 will release in the upcoming week. The last chapter 878 has been featured on a number of website. It featured the aftermath of Pedro’s suicidal attack. Before proceeding to the spoilers, let’s see how strictly the official authorities are dealing with the leakers. As you know, it’s a high awaited manga series. Fans wait eagerly for each chapter to be available for sale. Jinbe encourages the Sanji Retrieval Team to stop mourning Pedro’s sacrifice and press on in honor of it, and as they head to Cacao Island, Big Mom continues pursuing them on a candy road made by Perospero. Meanwhile, Sanji, Pudding, and Chiffon reach Cacao Island, and Chiffon reveals that Lola was once the Minister of Chocolate, and that Pudding refuses to take her place. In the Mirro-World, Katakuri manages to perfectly counter Luffy’s attacks by forming fists out of mochi that act in the exact same way to Luffy’s stretched punches. Luffy is left planted in the wall as Katakuri overwhelms him with both speed and power. The series has been constantly under the risk of leaking of spoilers ahead of the official release. The authorities have detained several people allegedly revealing / publishing the spoilers online before the chapter copies go on sale. In one of the cases, Shizuka Nagaya (23), Ryoji Hottai (31), and Yo Uehara (30) have taken into custody by the law enforcement officials. Probably, it’s the first time when Japan have gone after the spoilers leaking websites that release/air One Piece manga scans before they are released for sale. These three arrested people have been charged for copyright infringement. The reports say that they used to come up with Weekly Shonen Jump copies before they went on sale. After taking it, they would scan the pages and upload them online on their websites. Allegedly, their sites have earned around 75 million Yen or US $6,87,150 via online advertisements. Related: Dragon Ball Super Episode 108. Now, let’s back to the topic, One Piece 879 spoilers. In a new report publsihed on Inquisitr, the fans are eagerly waiting to see the result of the Luffy vs Katakuri fight. They want to know wins in the end. Luffy was trying to neutralize Katakuri as he was against the escape of Straw Hat. He wants to trap Katakuri along with Burlee in the Elephant Gun. Luffy dragged both of them into a mirror world owned by Bruelee. Luffy destroyed the mirror and their way out to the ship ended. Now, it seems the final battle when commander Katakuri will fight with Luffy. One Piece chapter 879 will release on September 25, 2017, Monday in the Weekly Shonen Jump. Stay tuned to TheReporterTimes for more details. Deadman Wonderland Season 2: Manga Series To Premiere in 2019? or US $6,87,150 <- what is this number?